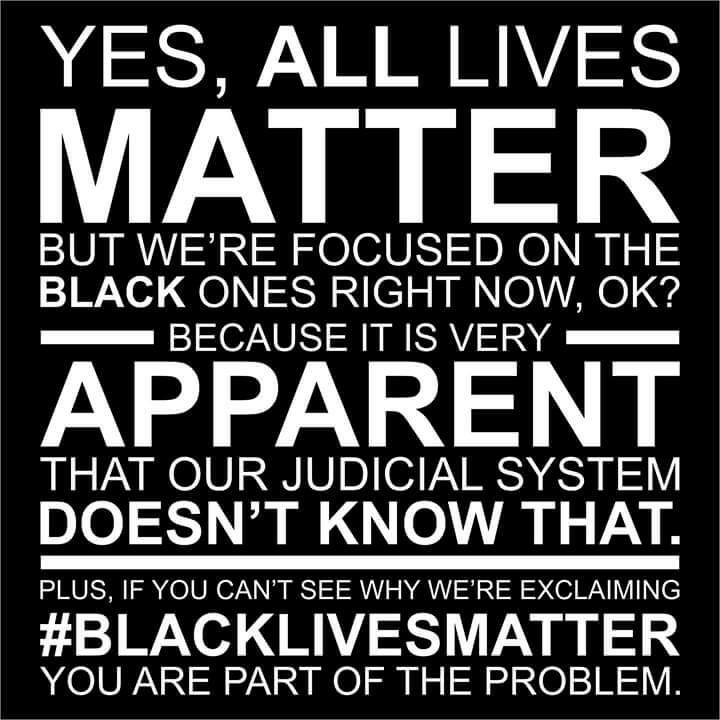 The Black Lives Matter movement isn’t simply an American issues or even just a Black issue. It is an issue all of us must stand together and fight for. In short, a better trained and more accountable police force should be the hopes, wishes and demands of every member of society. 154 Black people have been killed by the American police in 2016. Sadly, that figure won’t just have risen by the end of year but by the end of the week! The reason for these deaths cannot be simply understood or explained. Racism, poor training, gun crime, ease of gun ownership and human error are just some of variables that influence this figure. 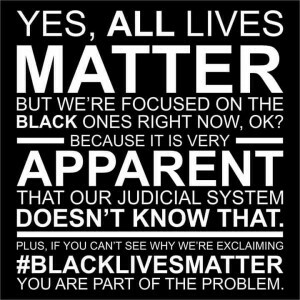 However, the feeling of a lack of justice and accountability is far easier to see and feel. 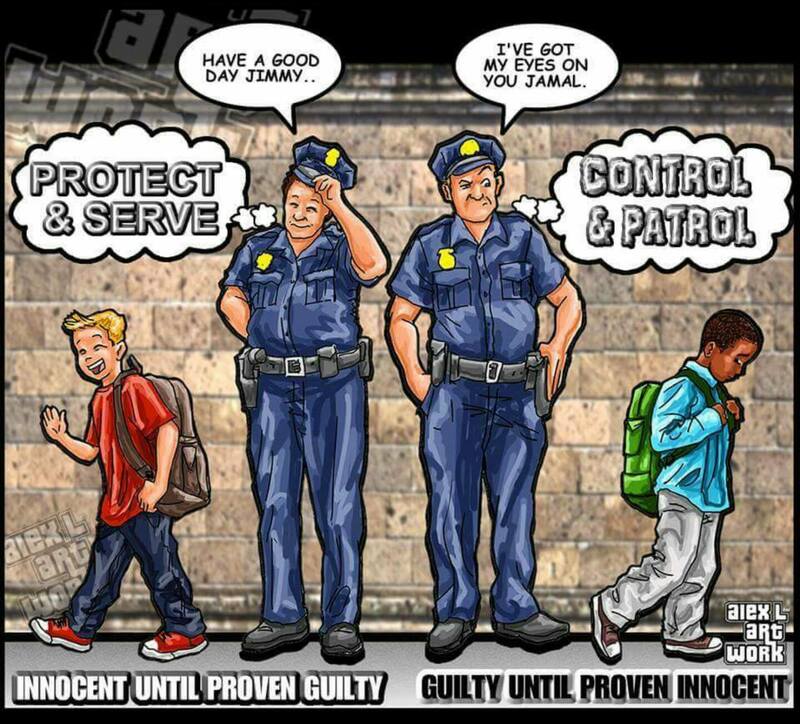 For many, they believe the police seem to be above the laws they are supposed to be protecting. This is one of the reasons Black Lives Matter was established. It’s goal is to change and make more accountable the system that has resulted in an unarmed Black person is 5 times more likely to be shot by the police than any other race. This video shows that British people have felt they needed to add their voice to the Black Lives Matter movement. In Britain the work of Stephen Lawrence’s mother Doreen Lawrence, now Baroness Lawrence of Clarendon, OBE in her pursuit for justice led to major overhauls of British Police and the admittance that the Police Force was “institutionally racist”. However, changes in the law do not have immediate affect. 26 years after Stephen’s murder and 17 years after the Macpherson report many Black people still feel there are major institutional problems left unresolved in the Police Force. Britain issues aren’t so much the frequency that Black people are being shot as is the case in America. Even though , in recent years we have had the Mark Duggan shooting. 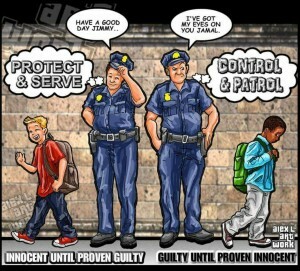 Despite that, if a BAME person is going to be killed by the police it will most likely be whilst in the police station. 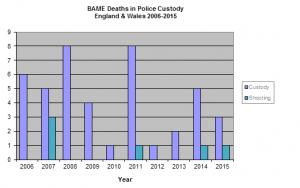 BAME people in the UK have disproportionate amount of deaths in police custody. Joy Gardner, Sheku Bayoh and Sarah Reed to name but a few. INQUEST’s casework has shown that a disproportionate number of those who die in or following police custody following the use of force are from black and minority ethnic communities (BAME). INQUEST is concerned that institutional racism has been a contributory factor. Whilst the number of deaths involving the use of force by the police is a small proportion of the total number of deaths in custody, these deaths have often been the most controversial. Since 1990, there have been 9 unlawful killing verdicts returned by juries at inquests into deaths involving the police and 1 unlawful killing verdict recorded by a public inquiry, none of which has yet resulted in a successful prosecution . 1,500 people have died in police custody since 1990. This total includes more than 500 victims from the BAME community. 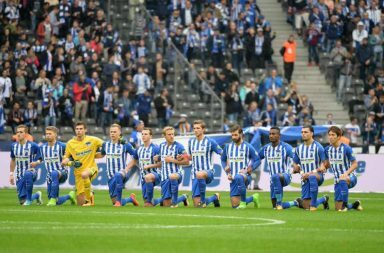 So, it doesn’t matter what race you are. As we should all be concerned with such a high number of British people dying in custody. Yet, one must also realise that both deaths in police custody and shootings in America are simply the tip of the iceberg. Most Black people won’t be killed by the police. But a lot of Black people will be able to recall moments where they believe they were harassed or an unnecessary use of force was used when they interacted with the police. Young Turks have reported that a Black person is more likely than any other race to be physically touched by a Policeman during an interaction. Sadly, some of these interactions end up in Black people losing their lives. This is why Vanessa Fisher felt compelled to make this inspirational video.